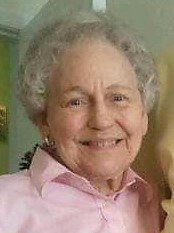 Elizabeth (Betty) Maust Glotfelty, 91, of Westminister, MD, formerly of Salisbury, PA passed away on March 29, 2019 at Country Acres Assisted Living, after a long battle with Alzheimer’s. Betty was the wife of Earl C Glotfelty, who passed in 1992. Betty was born on June 20, 1927 in Salisbury, PA. Betty was the daughter of the late Bayard S & Marian (Groff) Maust. Betty, is survived by her only son, Gary E and wife Bonnie Glotfelty of Monrovia MD; one sister, Patricia (Maust) Dennis, Pittsburgh, PA; two grandchildren Kelly of Taneytown, MD and Scott (Mckenzie) of Thurmont, MD and three great granddaughters, Kayden, Autumn, and Mckinnly Glotfelty. Betty who lived the first 81 years of her life in Salisbury, Pa was a homemaker and member of St. Johns United Church of Christ, Salisbury American Legion Auxiliary, and the Order of the Eastern Star. She graduated from Salisbury Elk Lick HS in 1945. After graduation she attended Catherman’s Business School in Cumberland, MD. After working at Rosenbaum’s for a short time, Betty married Earl on August 27, 1950. Betty enjoyed family beach vacations at the Outer Banks with her dear friends Bob & Nancy Monn and Bob & Helen Durst for many years. Betty adored her son, Gary and his family and lived with him for several years before going to the nursing home. Betty was an accomplished seamstress, loved to cook and enjoyed her time with the local widow’s group. Betty always had a smile and warm heart. Gary and Bonnie would like to thank the staff at Country Acres for their great, kind, and special care given to Betty over the past seven years, treating her like family. Also, to the other residents who showed such support and love to our mom. Friends will be received at the Newman Funeral Home, Inc., 9168 Mason-Dixon Highway, Salisbury, PA, on Wednesday April 3, 2019 at 11am followed by a 1pm funeral service at The Newman Funeral Home, the Rev. Dr. Alexa Smith officiating. Interment will be in the Salisbury Cemetery. Expressions of sympathy may be directed to St. John's United Church of Christ or Alzheimer’s Association.